Turn your group's passion for Jesus into deep group connections with this 5 week course! For 5 powerful weeks your small (or big) group will BREAK THROUGH the lies they often hear in their minds. With 5 weeks of video, 5 weeks of study guides, a leader’s book and a participant book, we make it easy for your group to see God’s transformative power. There isn't a Christian alive who hasn’t struggled in their relationships with God, themselves or others. Thoughts like; "You're not good enough, you'll never measure up, you'll never get it right," often rise above God's voice. The Set Free Life is for every church, every small group and every organization that wants to be set free from the enemies lies once and for all. Are you ready to level UP your relationship with God, yourself and others? 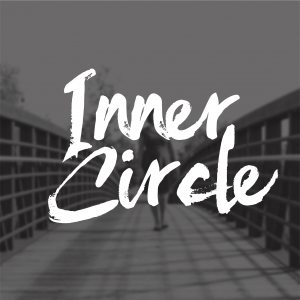 The Set Free Inner Circle is a community of like-minded believers who support your journey. Let’s face it – there is a lot of training online today that claims to help people succeed. But the bottom line is, no one is teaching on how to keep relationships alive while building sustainable businesses or ministries. The Set Free Inner Circle shows you how to use God’s Word to renew marriages, restore churches and grow companies, simply by learning how to make HIM your foundation. Are you a Christian who believes that you’re meant to be a coach, yet you’re not sure where to begin? Are you wanting to bring people to Jesus while making an income at the same time? Our Christian Lifestyle Coaching 3-Day Live Event opens up only a few times a year. We look for leaders who’ve been called by God, or feel a longing to help heal and restore others through Jesus Christ. This program will NOT teach you how to create a book writing business. This program WILL walk you through how to write a great book, from start to finish, and get it published on Amazon. Its time to reclaim your life! Anxiety, sadness and frustration have had their way long enough. During each live event, Kellie teaches powerful truths from scripture, and shares her personal journey to give you tools to help you take action for what God calls you to. Each live event brings you closer to living a Set Free Life!